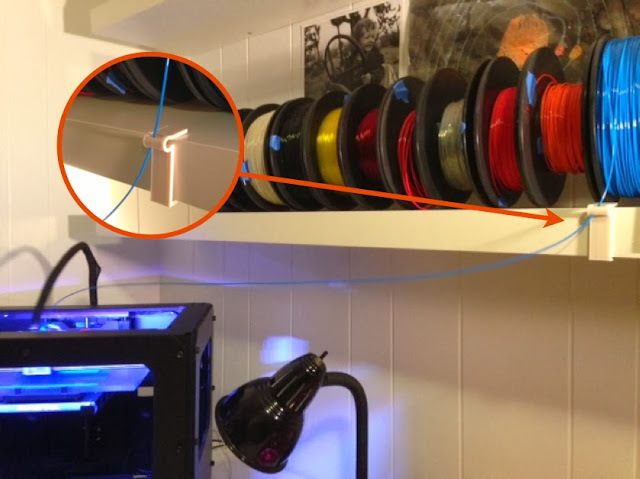 I keep my filament on an old curtain rod over a shelf, and the rolls that are far away from the printer don't unroll correctly. This shelf clip fixes the problem. The open loop design allows it to open a bit to fit over the shelf with a small dot of poster-tack-gum underneath to keep it from sliding to the side. Made in Tinkercad. Settings: MakerWare .3mm/low on a Replicator 2 in 20 minutes.